Live I show you to do mini albums to record your family stories. 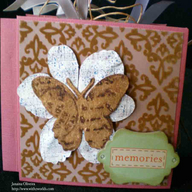 Scrapbooking minis or Mixed Media minis everything counts. We'll share tips, have friends show their work and have fun.